Autumn is a magical time of year. With changing temperatures, the fall leaves and cozy dark evenings, it’s the perfect time to snuggle up in-front of the TV with a hot drink (or something stronger!) and a wonderful fragrance to fill your home. Here are the top picks from the Busy Bee Candles range of over 240 fragrances that we recommend for autumn. Many of these are brand new! 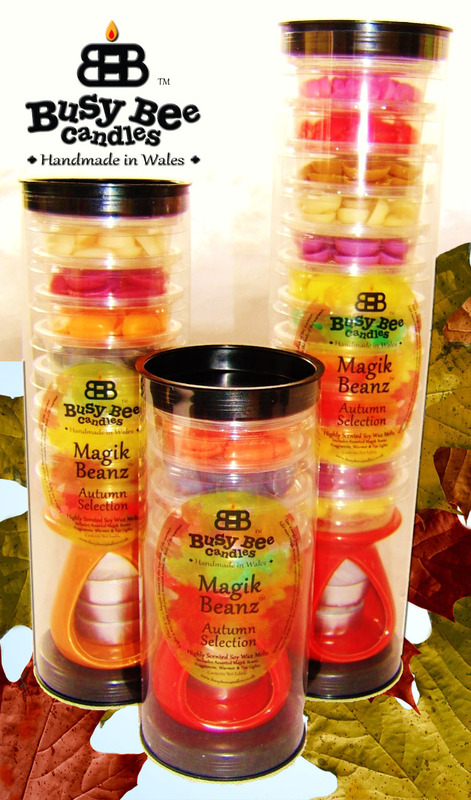 All are available as Scented Candles, Wax Tarts and Magik Beanz. And if you fancy a selection, how about a selection pack like these…. There are probably lots more I can’t remember, so do have an explore of the site! To find out more about any of these scents, just click the image or links above.